Home News Does liveability still matter? Stuart Houghton, Urban Designer, Senior Principal, Boffa Miskell, explores whether we should be broadening the conversation around liveable cities in New Zealand. 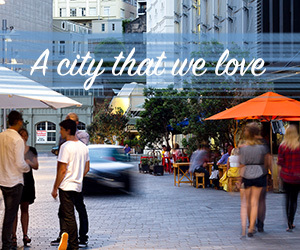 During the last local government election campaign, the now Mayor of Auckland Phil Goff announced that under his watch, Auckland would no longer strive to be the world’s most liveable city. More than just the need to sweep away the mantra of the Len Brown era, Goff seemed to be suggesting liveability was a nice to have, something to be set aside as Auckland got on with the serious job of building more housing and transport infrastructure. So is the whole notion of liveable cities losing sway? Ahead of the upcoming #Liveable RMLA 2017 conference, committee member and Boffa Miskell urban designer Stuart Houghton identifies some themes we should be talking more about in addressing the challenges our cities now face. The days of the suburban monoculture are well and truly over; there is not just one way of living anymore. You like mowing lawns and heading out of the city to the beach or bush every weekend. I like staying in town, never drifting far from the shadow of the Skytower. It’s ok that you want to live differently to me. Account for the super-diversity that immigration has brought to cities and the need to acknowledge this becomes even more obvious. Cities thrive on accommodating diversity and choice. There is no one-size-fits-all city lifestyle; nor should there be one way of living in the liveable city. Many baby boomers will leave the city as they retire. This should be a choice, not a necessity, to maintain quality of life as we age. What should cities be doing to support the older generation? Greater housing choice in existing communities that fill in the missing middle between the large family home and the retirement village unit or care suite, more local shops and services, safer walking environments, and much better transit that eases isolation and promotes independence without a reliance on driving or being driven by others. These things would make a big difference to our ability to age in place. While we are at it, why are we not striving for cities where children and young people can have the independence they once had, still enjoy in smaller towns here and cities elsewhere in places like Europe and Japan? The freedom to walk or bike to school (or at least to the bus stop around the corner), to head to afterschool activities unsupervised by grown-ups, and public transport that gives teenagers (and parents) the liberating feeling of being able to get anywhere across the city at any time of the day or night. These things might seem unimaginable to parents at present, but why should that always be? Just paying the mortgage is just not that interesting. And it’s not good for the future health of our cities either. The city where everyone is mortgaged up to their eyeballs is surely a recipe for slow stagnation and decline. We need freedom to try things and give things a go. Innovation shouldn’t be confined to designated precincts – liveable cities need to work on creating urban environments that naturally breed creativity and new ideas are cultivated and flourish. These benefits should be part of the debates around rethinking home ownership, renters’ rights and models of tenure, how expensive cities can still work for small business, the value of cheap space, industry and the making of things. Lose these things, and liveability looks a lot less attractive. The importance of health and happiness – a city that is good for us, and makes us feel good too, is fuelling a major movement internationally across policy, public health, planning and urban design. I’m not hearing much of that conversation in NZ. We need to start joining the dots between how we plan, design and build cities and how this affects how we live in them, our physical and mental health and well-being. This is already well reflected in the conversation around liveable cities. But let’s not throw the baby out with the bathwater; we want to live in cities that we love. Auckland has become a lot more loveable in recent times. I don’t want that to stop, even while we set about solving some pretty big liveability challenges. Lastly, we should remember that none of this really matters if you have no choice. Cities identified as enjoying high liveability, more than most, need to take care looking after those at the bottom. Increasingly, they also need to be asking what they can do to support key workers, and the growing number of people in low-paid service sector jobs in retail, hospitality and tourism that support the city the rest of us want and enjoy. A clearer focus on addressing inequality, overcoming segregation, and greater integration between disparate communities within cities; these things would put the notion of liveable cities on a stronger footing, to be about striving for more inclusive and equitable, people-centred cities, increasing the quality of life for all who call the city home, cities for all. Surely Mayor Goff would agree with the idea of that. 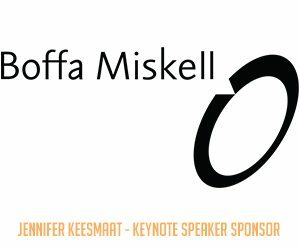 Boffa Miskell is an offical Platinum sponsor of RMLA’s #Liveable 2017 Conference.